It goes without saying that if you accept your ex’s decision to break up, and spend time putting things into perspective, you will naturally be able to move on with your life after a break up. But it isn’t always that simple to overcome a breakup, especially when your feelings for the person are still very much present. However, have no fear, because when it comes to how to move forward after a breakup, it can really be simpler than you think. Lets take a moment to remember that toward the end of the relationship, the fights kept ruining your day, and you didn’t know what to do. Even if the breakup itself felt like it was blindsided, you felt like something was off. Because of this, your partner decided to either break up or to take a break, and your plan of action will have to be based on the specifics of this decision. You will need to adapt to your ex’s attitude towards the situation. Regardless of what you want in the end, whether it’s to move on from a breakup completely, or to restart the relationship, you’ll have to do some form of moving on with your life after a breakup in order to restore your self esteem and confidence. We’ve compiled a guide based on all the different types of rough patches that people can go through before a breakup. If you want to understand what your ex may have been feeling during the time of breakup, I invite you to learn about their perspective by following this link. That article includes what they may have felt even before the breakup, starting from the moment the tensions started to rise up until where you two stand right now; or, to the article helps with the simple decision to move on after a breakup. Once you’ve been able to precisely identify the cause of your ex’s unhappiness, I suggest that you reflect on your errors in order to understand this determining element in being able to get over a breakup and move forward : “Why did you act the way you did in your relationship?” And, how did this all make your partner feel? Sometimes, when we’re trying to move on after a breakup, we forget that there’s another person involved in this – and that they’re hurting, too! They wouldn’t have broken up with you if you felt you were capable of change. Therefore, in order to make the needed changes, we have to first determine what went wrong! Understanding your errors is the first step, and is of utmost importance because this is how you will be able to define solutions to avoid making the same mistakes in the future. The goal of working on yourself is to be able to constructively criticize, to objectively analyze your relationship, and to understand what actions need to be carried out when maintaining a healthy relationship. All of this will help you get over the heartbreak, to move on from the breakup and transform into a person you can be proud of – a person you’d want to be with yourself! It’s so important that we become (and stay) a person we are inspired by, because it’s also our responsibility to inspire our partner. If you are sitting on the floor with a pint of ice cream right now, then it’s time to get up and to assess what’s going on! You can make all the promises you want, but if your ex sees no tangible change in your own life as well as in terms of him or her, it will be close to impossible to draw their attention to the new and improved you. Needless to say, outside of just how your ex feels, your ability to improve makes all the differences in terms of the rate at which you’ll move on from your breakup with your ex. Understanding the breakup involves being able to show your ex empathy. This proves to him or her that you are capable of putting yourself in their shoes, and that you can understand the hurt or unhappiness they felt while you were still together. If you want help or support in how to develop this sense of empathy and the determine what your ex really felt, I invite you to schedule a coaching session with me, Coach Natalie or Alex. Together, we’ve designed a variety of exercises to help you with this exact task. Afterwards, we set you up with a tailored game plan to help you know how to implement positive solutions to all the problems you identified in your exercises. This the our favorite part of the job, and we’d love nothing more than you help you facilitate recovering your relationship with your ex, or, helping you prepare and successfully move on after your breakup. Understanding the separation is the first step of moving forward. I completely understand that you want to get back together with your ex as soon as possible, so that you can stop hurting, and so that you can find happiness again. Even though there is no miracle solution, through my professional experience, I have seen that if you want your ex to take you back or even want to move on after a breakup, there are tips and actions that work even in the most extreme situations. The goal is as much to have no regrets as it is to make your ex react. TIP : Don’t be afraid of time, either! Time is your friend right now. Make note of this. Coming to terms with a break up is the first step towards bouncing back! The most important piece of advice is to make sure that you are never neglecting yourself; it’s the only real way to move on with your life after a breakup. When I say, don’t neglect yourself, I mean, make sure to not carry out actions only based on your ex’s needs, your ex’s expectations, your ex’s desires, etc. Don’t try to force them to come back in the name of “your feelings and your relationship,” but rather try to understand what your ex wants by taking into consideration his or her analysis of your relationship. If we only live in accordance to what our ex wants when the relationship ends (like posting things on social media you think will make them start thinking, for example), then we aren’t actually healing at all, and we’re subconsciously trying to keep the relationship real. The sooner we accept that this is over, and that we’re free to live life on our own terms, and can prioritize around what’s best for us, we’ll be able to most quickly learn how to move on after a recent breakup, and this can prepare us to hit the ground running with our recovery! We want to heal! It feels good! The goal is therefore to avoid making mistakes, never pushing your ex, and always remaining calm. You have to start working on getting your ex back by truly reconstructing yourself, and by maintaining a stable lifestyle that will ensure that you’re shown to your advantage when you two start communicating again. I’d like to emphasize, here, that it is really important to now reach out to your ex. You just can’t do it. They need to see you’re capable of self and emotional control, and the sooner they feel you’re moving on from your ex, the sooner they’ll start to question their decision. I’ll discuss this form of not reaching out, knowing by our team as “radio silence”, later on this article, so hold time! Within the next few pages, you’ll have a deeper understanding of how to move forward after a breakup. If, by the end, of this article, you’re still plagued with dozens of questions (because we know more than anyone that breakups can make us really question ourselves and our actions!) then we encourage you to consider scheduling a one-on-one coaching session with any one of us. Together, we can really narrowly define your situation and the uniqueness of your ‘how to move on from your ex’ period and consequently, make you a plan that’s right for you and suits your needs. If coaching is out of reach, we also have a variety of YouTube videos pertaining to topics like these. Please feel free to visit our channel, LoveAdviceTV, for more ways and tips on how to move on from your ex after a breakup. On top of the breakup, your ex is applying a principal that I call “double-penalty.” He or she is also acting as if you don’t exist; something that is especially hard when you used to be the center of their universe. It’s important that you don’t react brashly, fueled by emotion, because this will lead to errors that can worsen the situation. You will need to do quite the opposite. Even if your ex has decided to no longer speak to you, to show you that he or she hates you, there is still something very effective that you can do. It’s called “Radio Silence,” and it consists of creating distance between you that is essential if you want to regain control of the situation, in order to start a new form of seduction between you two. To learn more about this method, you can read more here. The more you chase after your ex, trying everything you can to make him or her want to talk to you again, the more you’re going to make them want to run away. But if you try RS, you’ll have a chance to take the time to work on yourself, and well as to figure out a plan of action to find the best way to eventually have a cordial and positive exchange between you and your ex. If you’ve already tried some version of the no contact rule / radio silence and you were able to not be in demand for a relatively long period of time but still didn’t manage to trigger a reaction from your ex, I would suggest that you write a letter; the old fashioned way! There’s something magical about using a pen and paper to pass along a well-crafted message centered on key points that you will have thoroughly thought about and presented in the right way! The letter, however, is a discussion for another article, because there’s lots of things to include and more importantly, many to avoid. If you need help writing you’re own letter, I invite you to schedule a session with me or Coach Adrian, so we can help you nail it. As you know, some breakups are unique and require special kinds of action or support. If you were in a long distance relationship for instance, if your ex left you for someone else and told you so, or if you feel like you are in a very unique type of situation than don’t hesitate to reach out to us! This is what we do, we are relationship experts who have developed an expertise for dealing with tough situations and turning them into something that will be more favorable; Putting you in prime position to make your ex miss you and reconsider their stance! So if there’s any doubt in your mind about what you want or that you’ve done everything possible than reach out and let our experts show you the way! Needless to say, if you’re goal is more about moving on after a break up, then we also can really help you here. We have a variety of tips and tools that can support your emotional and psychological growth, and move you away from the relationship you’re trying to separate yourself from. 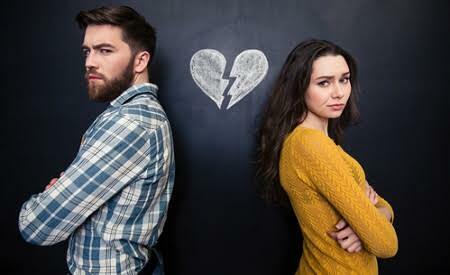 Moving on after a breakup : How will my ex come back? Your ex has decided to break up, but he or she continues to write to you, to talk to you, to want to see you, or even to be jealous! How do you explain this behavior? Also, how does this behavior influence your ability to move on from the breakup, or at least, move forward. You have to understand that a person who makes the decision to leave is unhappy in the relationship but this doesn’t mean that the situation is irreversible! You will see that oftentimes, by following our philosophy, you will be fully capable of regaining control of your life, and proving it to your ex, so that their entire outlook will change. Are you wondering why exes tend to come back when you’re starting to feel better? Let me ask you something else, “Have you ever succeeded in seducing someone while sobbing and badgering them…?” Obviously not. So why would it be the case now, when you’re trying to get back together with your ex? Do you see where I’m going with this? If you’re not convinced, I suggest a coaching session! You should know that your ex will always return because of these two reasons: A. You’ve been able to make him or her feel guilty as you’ve understood your mistakes and have been able to rectify them, or B. He or she is afraid of losing the person you are today, because you are ideal in their eyes. Moving on after a breakup : I want to move on and find the one! For most of you, this article is mostly about moving on from your ex and returning to yourself. OR, you’re reading this article because you hope to move on from your ex only to, at a later date, kickstart the relationship back up again. However, I want to consider all visitors, and know that there are several who are here, reading this article, looking to move on and stay gone from their ex’s. Maybe, the goal is really just to move on from your ex to find someone new! If so, this final section is for you! Moving is one thing, finding a life partner is another. I understand that it’s becoming increasingly difficult to find the right life partner; I’m not talking about finding a boyfriend or girlfriend; or even about having a fling. This is directed to those of you that are looking for a soul mate. There’s absolutely nothing cliché about looking to find that one person that you were destined to share a life with. And you can! In order to give yourself the best possible chances of finding that special someone, you need to start by constantly pushing your comfort zone in your everyday life. When you’re in a social setting, at work, at a family gathering, or basically anywhere; you need to get into the habit of continuously stretching your comfort zone. Staying accountable to this approach or way of life will drastically increase your chances of finding someone that reflects your true essence! Another great way to find the one is to keep pursuing your hobbies or passion. When you are engaging in certain activities that you love, where time stops and you’re just simply living in the present moment you become amazingly attractive to anyone who takes the time to notice! You will also be in an environment or around other people who share something in common with you. This type of filter will increase your chances of running into someone that you can relate to and truly connect with! Finally I cannot stress enough the need for you to be in a positive mindset! Positive people attract positive things into their lives. If you don’t know how to be in a positive mindset you can start by smiling, a lot! As a matter of fact you can even force yourself to smile! It doesn’t matter if you’re by yourself in your car, in the shower or around other people. A smile attracts positivity or entices people to interact with you in a positive way. If you are faking it but are staying consistent about trying to smile, after a while you will notice a shift or a change. That smile will start to be genuine and you will have programmed your brain to be in a happy state!